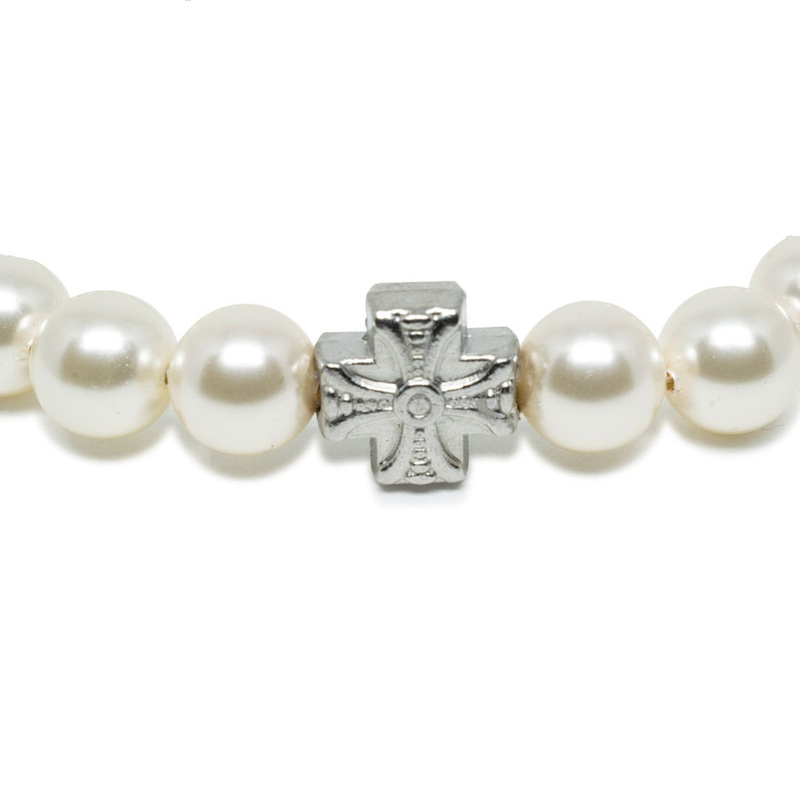 Beautiful white Swarovski Pearl Orthodox Bracelet. 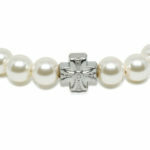 This bracelet is made out of genuine Swarovski Pearl Crystal beads, also known as Swarovski Elements. 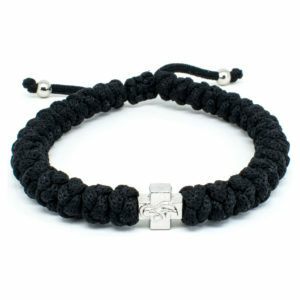 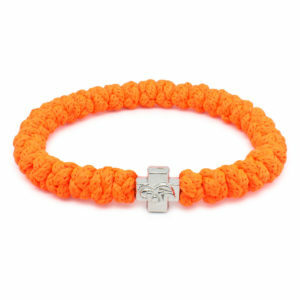 It also features a cross bead with the depiction of the Holy Virgin Mary. 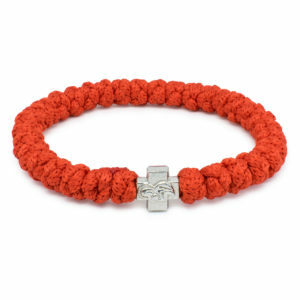 The size of the bracelet can be adjusted by pulling on the two cords.